Common toad larvae exposed to glyphosate, used in the well-known herbicide Roundup, contained higher doses of bufadienolides—life-saving natural chemicals found in some plants and animals. Bufadienolides taste bad to put off potential tadpole diners, and can kill in large quantities. "That environmental pollution can induce changes in bufadienolide production is relevant not only for toads but also for their predators," said study co-author Veronika Bokony of the Hungarian Academy of Sciences. While some toad species are declining, she pointed out, others such as the Australian cane toad are invading new areas and disturbing established ecosystems. "Thus, if some pesticides make toads more poisonous, this might alter predatory-prey dynamics and the structure of natural communities in freshwater habitats," Bokony told AFP. Toads with more bufadienolides in their bodies are more toxic. Large Australian predators like crocodiles, for example, die from eating cane toads which are a large species and therefore contain more toxins. For the experiment, Bokony and a team raised common toad larvae in water polluted with a glyphosate-based herbicide, and noted that the amount of bufadienolides in their tiny bodies were elevated. 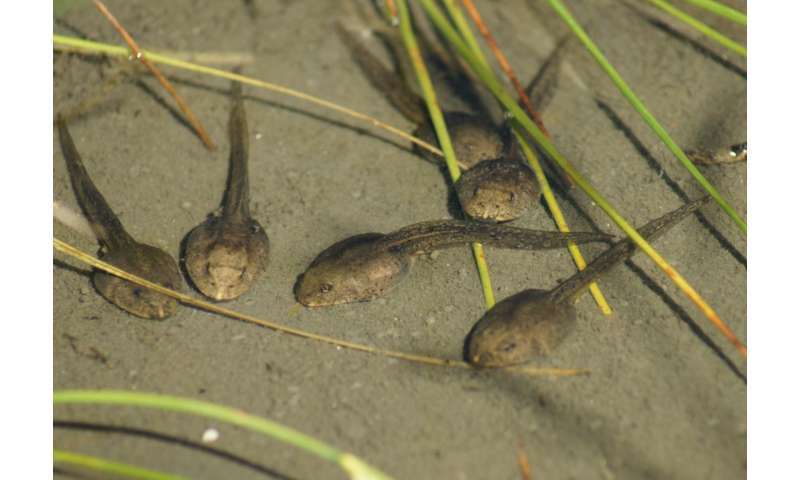 "So these tadpoles became a more 'concentrated' source of bufadienolides compared to their siblings that were raised in clean water," said Bokony. Glyphosates are widely used in agriculture, and pollute freshwater bodies that receive runoff from farms. The European Union will decide in December whether to renew the licence for glyphosate, which is produced by US agro-chemicals giant Monsanto. Last year, Europe limited use of the herbicide for research, over fears that it causes cancer.